With a wicked flu season upon us you may feel like you need to wear a Hazmat suit or face mask to ward off a bevy of bugs. While you don’t need to go to such lengths, of course, we do recommend taking a proactive approach to staying well. Doing so makes managing your health so much easier. Aside from a bout of food poisoning or the stomach flu over Christmas I haven’t had a sniffle in over 12 years. Despite having about 100 people coming into the office each day and getting constantly exposed to germs, I never get sick. What’s my secret? I get adjusted even when I’m feeling well and take supplements. Chiropractic adjustments foster an optimally performing nervous system and immune system. Whether you’re dealing with allergies, back pain, neck pain, headaches or a head cold, getting adjusted regularly can do wonders when it comes to keeping you pain-free and healthy. One of my patients who is now free from migraine headaches that used to plague her asked why she still needed to come in. Though I told her that I couldn’t promise her that she’d never get a headache again, I told her that it’s more about what’s not happening such as sickness, thanks to chiropractic. Stave off sickness this season but taking a ninja approach to staying well. Pack your arsenal proactively so you can fend off the flurry of germs that are sure to come your way. 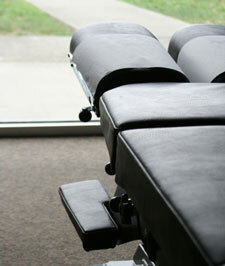 Remember to include getting a chiropractic adjustment at Restore Chiropractic!